Getting to know Bianca and Josh was so much fun! 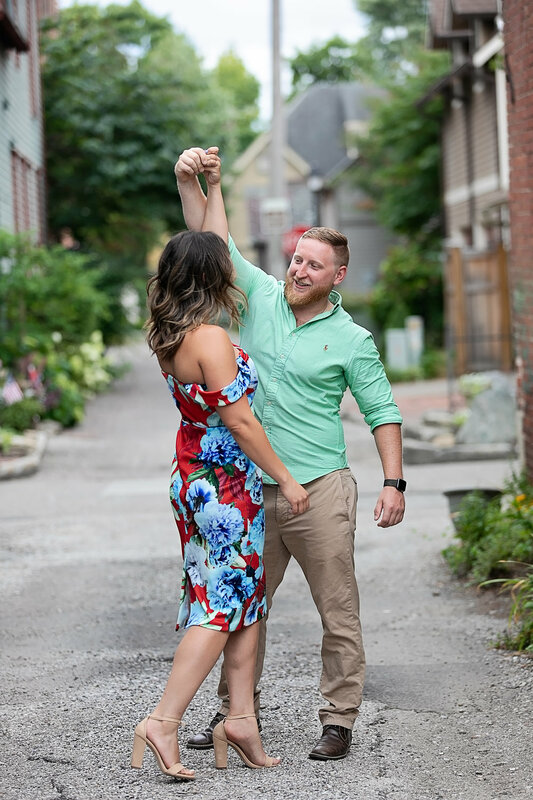 I love sessions where couples really go for it and are comfortable being themselves in front of the camera, and this engagement session was just that. I asked Bianca about the story of Josh proposing, and it was just as fun as they are! She said that he really wanted to keep it a surprise. He went on her Pintrest board to find some ideas, and sent them to his jeweler to have some ideas shipped to him. He decided to propose in December. Bianca and Josh love going and doing activities and going on adventures. Josh had just gotten a brand new car, and Bianca hadn't seen it yet. So they decided to go do the lights on the Indianapolis Motor Speedway. They got a stern warning about not driving too fast, and not stopping their car, so Josh was immediately even more nervous than he already was. They were close to the bricks and the Pagoda, when Josh said he wanted to pull over to get a picture of the car. Instead of getting a picture- he went around to the passenger side and opened up her door and got down on one knee saying, "Rules be damned, how's this for a surprise?" and Bianca said she just immediately started screaming and crying. Somewhere in there she also said yes. Josh and Bianca's love story started online, and Bianca said Josh was her first and last online date! They make such a beautiful couple, and you can tell they love and care for one another. They love adventuring, but Bianca said that Sundays are always reserved for Netflix and naps! I'm so happy for this couple and wish them all the best in their next big adventure! Dugan Imaging is a full-service boutique styled portrait studio specializing in engagement, wedding, maternity, newborn, and family photography in Fishers, Carmel, Noblesville, and Indianapolis, as well as destination services for those outside of the Indianapolis area.